There are number of web browsers for iPhones and iPads these days. I recently came across one really good web browser for iPhone and iPad – Maven Web Browser+. This browser is somewhat unique in its design and features and works really good. Maven browser supports various features such as dual screen support on iPad, unlimited tabs, download manager, one click switching to private browsing, track pad, reader, etc. I have tried various other browsers to use some of the social media sites in Desktop mode, but most of them simply crashed. But on Maven browser, Desktop mode works really well. The key features of Maven Web Browser+ is given below. 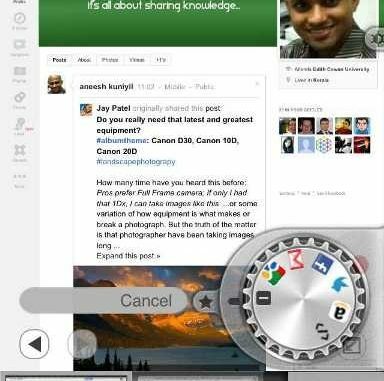 Easily share on Facebook, Twitter and Instapaper, etc. Ad Blocker support (Note that this feature requires In-App purchase and it costs additional $0.99.